When Max reaches new levels of depressive despair she’s exhausted most of her conventional treatment options. She’s tried a range of different medications and therapies, all of which failed to work or made her symptoms worse. 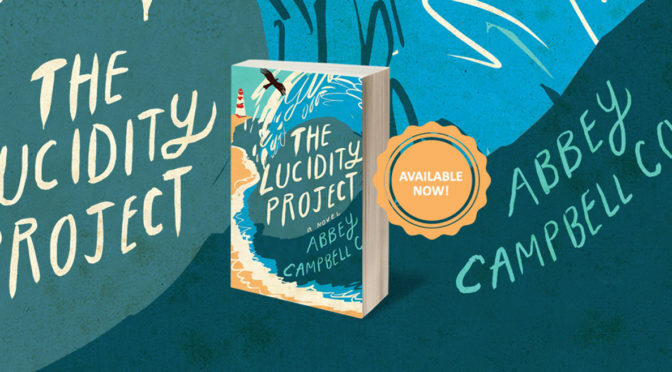 But a completely unconventional option is put on the table in Abbey Campbell Cook’s new novel The Lucidity Project: Dream therapy on the astral plane guided by a psychic guru. Needless to say, The Lucidity Project requires a certain level of suspension of disbelief from empirically-minded readers. The premise that Max must spend 21 days on a haunted Caribbean island and do psychic work in order to find relief from her relentless depression is clearly far-fetched. Nonetheless, The Lucidity Project offers a stimulating and radical re-imagining of what mental illness is, or could be. It understands depression as a superpower rather than a deficit. It would either be incredibly New Agey or a mistake (depending on your worldview) to take the possibilities presented in the novel literally. But as a metaphor for the complex value that experiences of mental illness could have, it’s worth an examination. Despite its affirmation of mental illness, the novel doesn’t shy away from the harsh realities of depression. Quite the contrary, we’re introduced to Max in such difficult circumstances that they deserve a trigger warning. She is brought to hospital after an attempt to take her own life. She has been living an exhausting, lonely existence, barely able to do much more than turn up to her stressful job in LA as an assistant on a TV show. Max’s hospital treatment is dehumanizing – she is both physically and chemically restrained. She refuses admission to the psych ward but she is nonetheless taken there. She doesn’t even want to go to the island to try the unconventional treatments they offer but , her parents sign her up. Max simply accepts the wisdom of these treatments and figures that it’s in her best interests. Her complicity to conventional medicine, however, makes her a perfect narrator for this type of book. When things get strange on the island, Max asks all the same questions I’d ask if I were in the same situation. She says “That doesn’t even make any sense” at all the correct points. On the island, various forms of mental illness are seen as methods of tapping into one’s purpose and communicating with the paranormal. The idea that mental illness might actually be a good thing – despite the profound suffering that goes with it – is one I’ve played with myself over time. Some argue that experiences that would be described in Western medicine as “symptoms of mental illness” should be celebrated, and understood to be signs of spiritual wisdom and a propensity toward healing others. Personally speaking, neurodivergent people tend to be among my favorite people. Because life doesn’t work out easily for us the way it does for the majority, people with various forms of difference tend to examine our values and our priorities. As we grow, we seem to get more attuned to what’s important to them. And suffering tends to lend itself to compassion, empathy, and nonjudgement. The Lucidity Project plays on and exaggerates these positive aspects of mental illness:The potential to heal, of living out one’s purpose, and the cultivation of empathy. But while there are some positive aspects of mental illness, neurodivergence, and general non-ordinariness, there are some very real, and very startling caveats. People die of these things. People decide to take their own lives. They also face difficulties in getting non-dismissive, prompt treatment for their physical health. As a result, on average, people with severe mental illnesses die 10-20 years younger than those who don’t. Given these facts, glorifying mental illness is in itself as stigmatizing as holding negative views of it. It fails to validate the pain that comes with an experience such as depression, and it fails to acknowledge systematic failings which makes people’s lives both shorter and harder. Moreover, on this island where mental illness is glorified, many of these systemic problems still exist. While Max is treated more as a person on the island than on the psych ward, she’s still condescended to by Micah, the psychic guru who designed Max’s secret treatment, which must be slowly revealed as he determines what she’s “ready to deal with.” He makes long runs to the lighthouse compulsory, despite the fact that Max is clearly dealing with profound fatigue. The food stocked on the island is delicious-sounding but highly prescriptive. It is all organic, whole, and unprocessed with no alcohol.There are no other choices available. Obviously, it’s nowhere near as bad as restraints, but The Lucidity Project replicates the power dynamic that’s pervasive through much conventional treatment:The provider indicates that they are right and the patient/client/patron is best placed to do as they say. The Lucidity Project seems to be a response to the push to pathologize in conventional medicine. Fortunately, there are strong, evidenced-based, humane options that don’t have to play out in dreams (although getting access to said treatments is difficult). We know, for instance, that secluding and restraining psychiatric patients may exacerbate certain conditions and should only be used as a last resort. We also know through the work of organizations such as the Hearing Voices Network that a people can learn to exist with psychosis without necessarily medicating that experience if they’d prefer not to. We also know that recovery (whatever that means to an individual) is a holistic process and may involve taking control of your life and accepting your differences as well as reducing symptoms. If someone were to offer me a chance to take part in a lucidity project, I’d probably take it. I’d be curious, if skeptical, about how it would turn out. But between astral projections where my suffering is a gift, and the cold, metal hospital bed in which I’m forcibly fed Haldol to quash my pain, there’s something more complicated to wrestle with. How do you reconcile anguish with who you are? How do you live with it? How do you find ways to make it work for you? I don’t like the answers The Lucidity Project has, but its offering of lightness out of the context of despair is a gift unto itself. A Very, Very Interesting Review/Article….And All The Reason Why This Novel Is On My To-Read List….